When my husband was coming home from his last deployment, he had a layover in Ireland. There, he picked up three cute little Irish books for our kids. This month’s theme for the Poppins Book Nook is Folktales, so we decided to read one of those Irish folktale books that my husband brought home. We chose Leprechaun Tales by Yvonne Carroll. Leprechauns have long been part of Irish folklore. This cute little book includes six short tales about the mischievous little people, the Leprechauns. Legend has it that Leprechauns have pots of gold hidden away. Humans are always looking for those pots of gold, but they are always outwitted by the little people! These tales include tales about both Leprechauns and fairies. 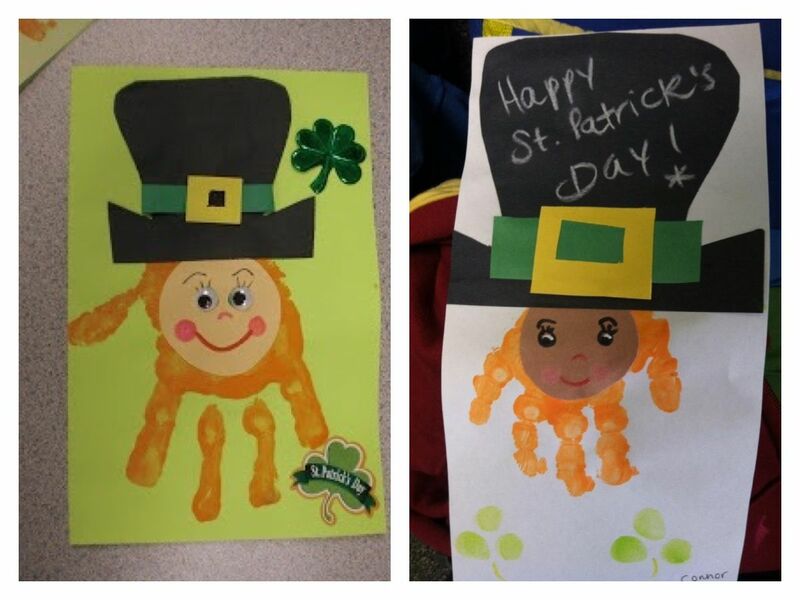 We did one craft that related to leprechauns, and I found several leprechaun and fairy crafts for kids to do in the future! I didn’t realize until after I had planned this activity that there is actually no mention of rainbows in any of the tales! Oh, well! 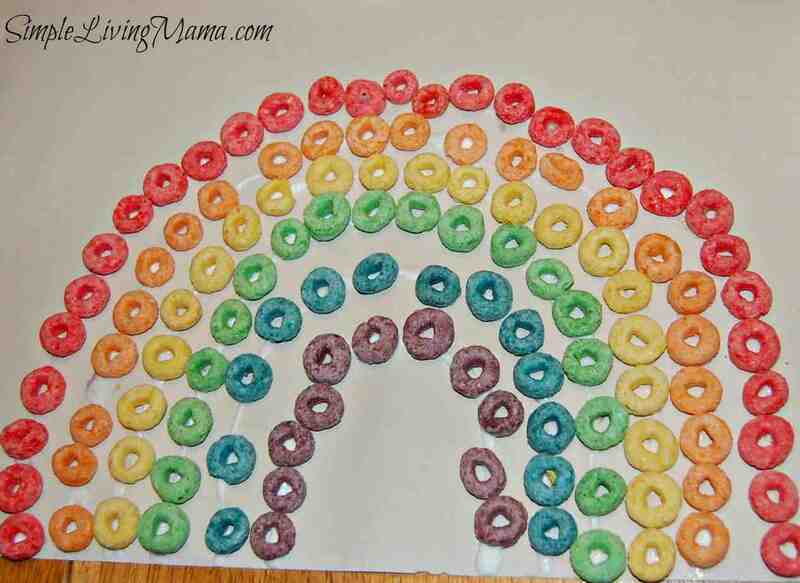 The kids still had a lot of fun making rainbows out of Fruit Loops and we can still assume that a pot of gold lies at the end of a rainbow! 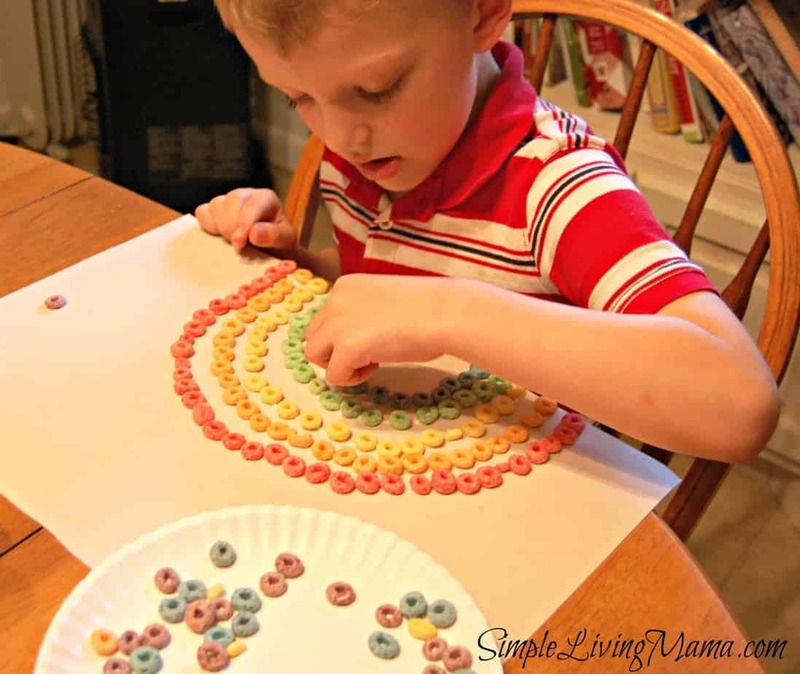 I poured fruit loops on a paper plate for each child. I used the glue to draw a rainbow shape for each color, but only one at a time. I had he children sort the colors of the Fruit Loops starting with red. Then we did orange, yellow, green, blue, and violet. It was a very simple craft, but was a lot of fun for the kids! 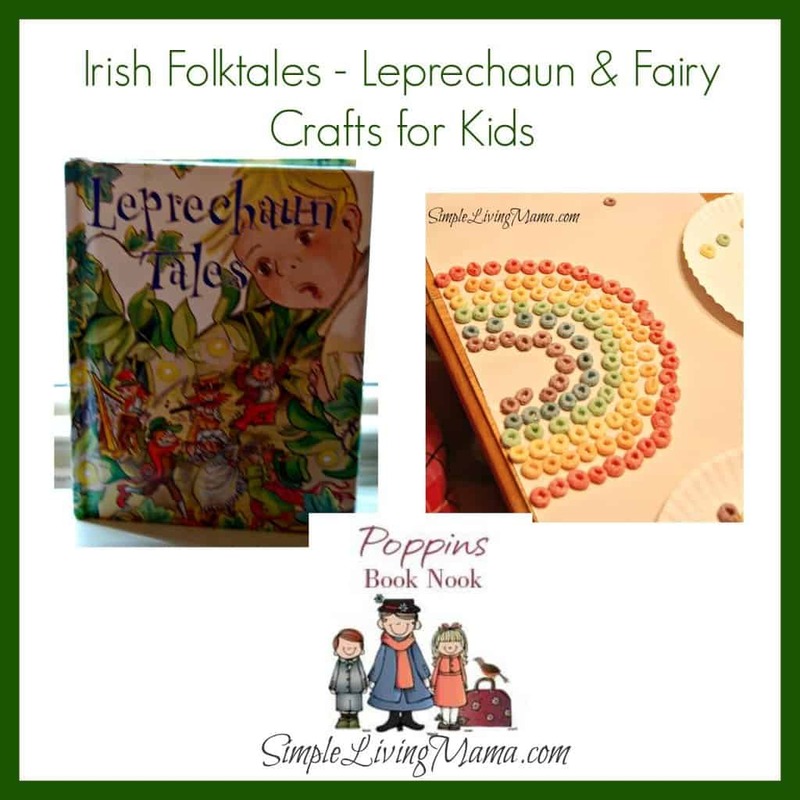 I’ve found some other wonderful crafts you may want to do along with Leprechaun Tales! I hope you enjoyed our little craft and are inspired to explore folktales with your kids! 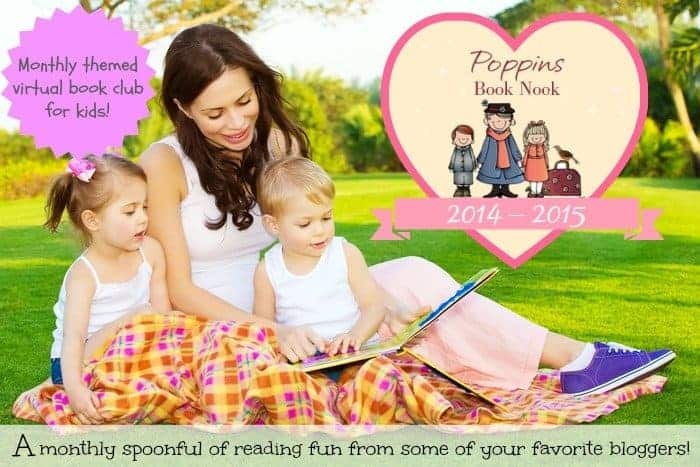 Poppins Book Nook Giveaway! Every month the Poppins Book Nook group will be offering readers a chance to win a brand new storybook or product that ties in with our theme for the month. This month one lucky entrant will win a copy of the E.H.M. curriculumJourneyinto the World of Folktales (PDF) and one copy of the book that is required to teach it called Around the World in 80 Tales by Saviour Pirotta to further their learning all about folktales. I love Irish folktales! I can’t resist adding Leprechaun Tales to our reading list and trying our hand at your adorable rainbow craft idea.